How to Download Spotify Songs to SD Card? If you are Spotify favorer and you are subscribe to Spotify, you are available to listen to more than 30 million of songs from the world and download albums or playlists for listening offline. However, even those who are the member of Spotify can only download songs from Spotify during the period of membership. Not to mention the users who sign up with a free account are limited on downloading Spotify music and cannot listening to them when the app not connect to internet. So you may look for a way to download Spotify songs and want to play the music on other mobile devices. 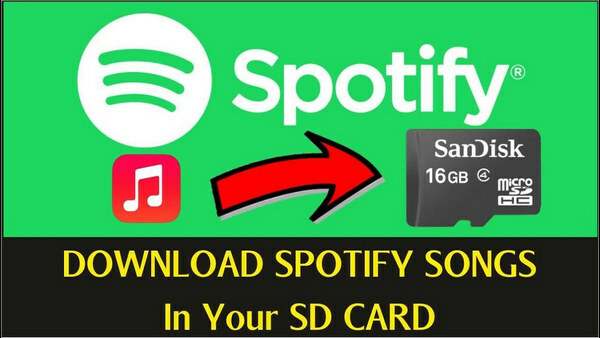 You are lucky that this page will introduce a solution to download songs from Spotify and save them to SD card with TunePat Spotify Converter. Either phone or computer has limits in storing capacity to save too many audio files. Security Digital card (SD card in brief) is going to store additional amounts of information for us. It is portable and compatible with mobile devices and be used in many areas. Therefore, it is good container of saving Spotify and more convenient to play Spotify songs on other devices. How Can TunePat Spotify Converter Make It? What we need is TunePat Spotify Converter. 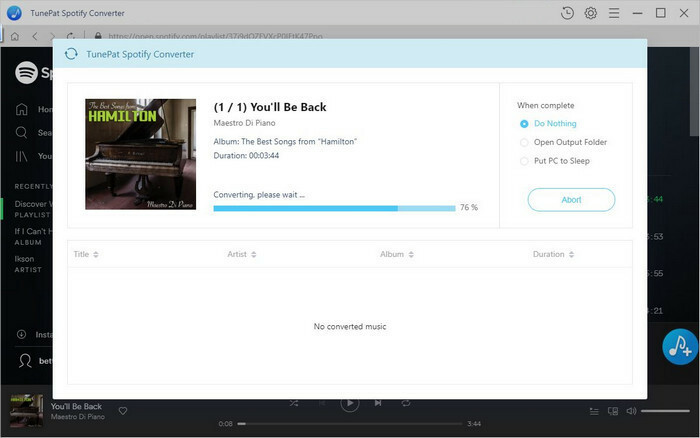 It is an all-in-one music converter which able to record Spotify songs as plain format, like MP3, WAV, AAC, and FLAC, that is common used in music players. 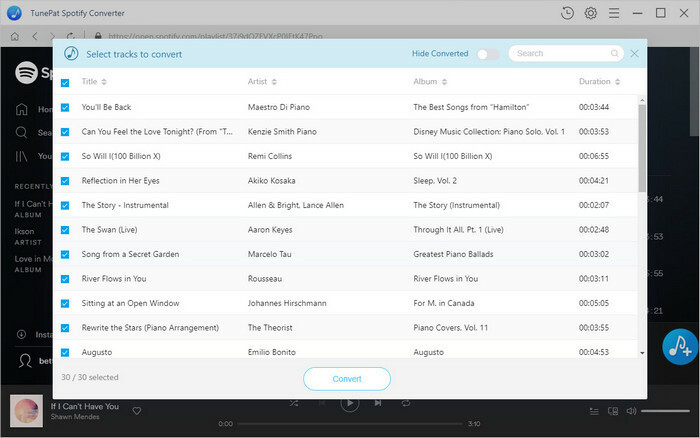 No need to install external Spotify app because the program has built in, and TunePat Spotify Converter is much easier to operate compared with other music converters. 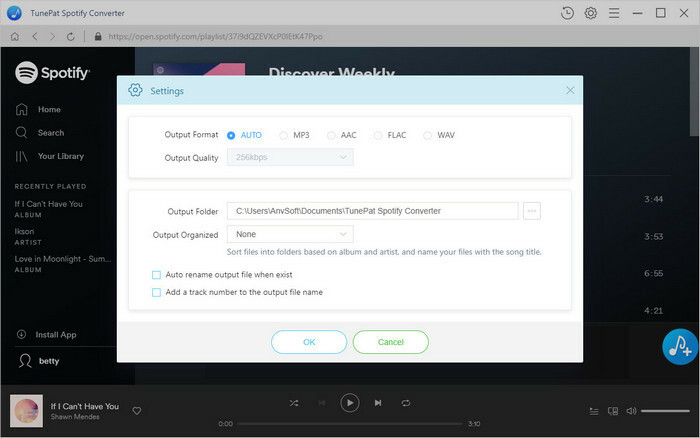 Now we are going to show you how to convert Spotify songs with this program and save them to SD card. Please download and install the latest version of program in advance. Part 1: Convert Spotify Songs to Your Computer. Step 1. Choose the Output Format before Converting. Launch the program and click the button at the right bottom corner, a new window will pop out and you can set the output format and output quality as your demand. Choose an album or playlist, click the “+” button and select the songs you want to convert. After adding music to TunePat, just click “Convert” button to start converting and you can find the converted songs in the conversion history folder when the conversion finished. Part 2: Sync Converted Songs to SD Card. When all of steps in above are finished, you can transfer Spotify songs to SD card now. Insert a SD card into your computer’s card reader and find the icon of SD card at moveable devices of your computer, then double-click the icon and drag the converted songs into your SD card. Now Spotify songs are saved on SD card and you can listen to Spotify music on other devices.